1. The night-time flea market The Mercado de San Miguel. This sounds like heaven to me! I love flea markets… we have many similar markets like this here in Cape Town. This one sounds pretty fantastic. I like that it’s festive and full of local flavours and foods. It offers high quality products, pastries, tapas, a wine bar, and a variety of foods with 33 vendors. There are steel tables for picnics within the venue in which it is housed called Plaza de San Miguel, closest to the east side of the Plaza Mayor. It operates Mondays, Tuesdays, Wednesdays and Sundays between 10am and midnight. And on Thursdays, Fridays and Saturdays between 10am and 2am. 2. The Palacio Real de Madrid which is the official residence of the Spanish Royal Family at the city of Madrid. This sounds amazing and a tour of this would definitely be on my list! Apparently it opened in 1755 and is open now daily from 10am to 6pm. I absolutely love history and I think seeing this would be a treat! 3. Gran Vía is next. An ornate and upscale shopping street located in central Madrid, it’s also known as the “Spanish Broadway”. Known as one of the streets with the most nightlife in Europe, and the “street that never sleeps”, it’s definitely on my list! 4. The Temple of Dood. This is an ancient Egyptian temple that was rebuilt in Madrid! The temple was built originally 15 kilometres south of Aswan in southern Egypt very close to the first cataract of the Nile and to the great religious center dedicated to the goddess Isis, in Philae. In 1960, due to the construction of the Great Dam of Aswan and the consequent threat posed to several monuments and archeological sites, UNESCO made an international call to save this rich historical legacy. As a sign of gratitude for the help provided by Spain in saving the temples of Abu Simbel, the Egyptian state donated the temple of Debod to Spain in 1968. The temple was rebuilt in one of Madrid’s parks, the Parque del Oeste, near the Royal Palace of Madrid, and opened to the public in 1972. 5. 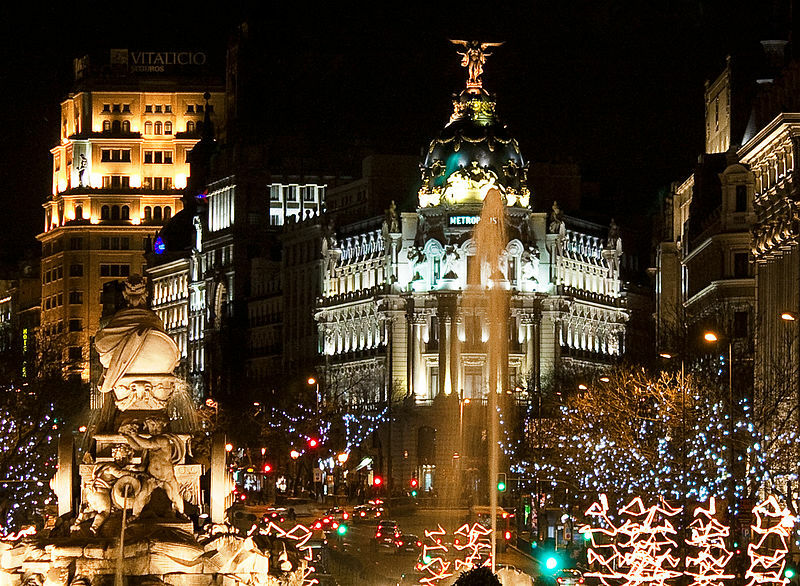 The Plaza de Cibeles sounds amazing! Wow, this is a square with lots to offer. The fountain of Cibeles in the centre of the square is named after Cybele (or Ceres), the Roman goddess of fertility. It’s seen as one of Madrid’s most important symbols. Built between 1777 and 1782, the fountain depicts the goddess sitting on a chariot pulled by two lions. The fountain of Cibeles has been adopted by the football club Real Madrid, whose fans use the area to celebrate its triumphs in competitions. (I hope they win something while I’m there!) Also in the square is the Cibeles Palace (formerly named Communications Palace). The cathedral-like landmark was built in 1909 as the headquarters of the postal service. There is also the Bank of Spain and the General Staff Headquarters of the Spanish Army. Finally, opposite the Bank of Spain is the Palacio de Linares. The baroque palace was built in 1873 by a rich banker, José de Murga. It houses the Casa de América, a cultural center and art gallery focused mostly on Latin American arts. And guess what? The building is said to be haunted by the spirits of its first owner, who made his fortune in the New World! If you have some free time, you should also visit Segovia or Toledo, two fabulous medieval towns which are very near! Hey! Thanks for visiting my blog and for getting me to read yours! 😉 How fun to go to Madrid, I lived there for a month and I loved it! Whilst being there you should try the restaurant Lateral for tapas, they have great food!!! 🙂 I also loved the park that basically is located in the middle of the city, called something similar to the relaxation park.. 😉 The rose garden there is amazing during spring! If you like art you should pay a visit to the Prado museum! Wow, these photos are so beautiful! Next time i visit Madrid i’ll be sure to visit this post, notebook and pen in hand! 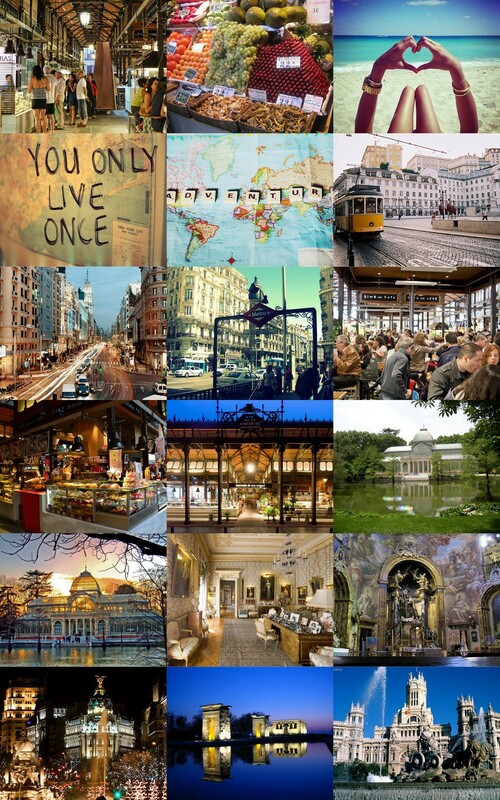 Really love your blog..Been to Madrid last year and also going again this June.. I spended a lot of time in the area called “Sol” also known as the zero kilometer. It is basicly the centre of Madrid. There you would find nice shops and the best night life. Look out for the pastrie shop Casa Mira and be sure to taste out some of their famous Turrón (type of nougat). Also visit the Retiro Park and La Latina Square.